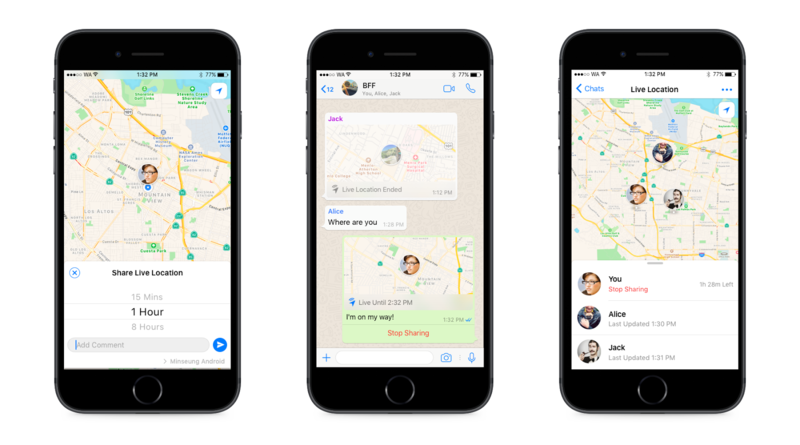 Whatsapp has launched a new feature that allows you to share your location in real-time with family or friends. Whether you're meeting up with friends, letting loved ones know you're safe, or sharing your commute, Live Location is a simple and secure way to let people know where you are. This end-to-end encrypted feature lets you control who you share with and for how long. You can choose to stop sharing at any time or let the Live Location timer simply expire. Under "Location" in the attach button, there's a new option to "Share Live Location." Choose how long you want to share and tap send. 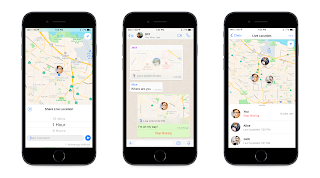 Each person in the chat will be able to see your real-time location on a map. And if more than one person shares their Live Location in the group, all locations will be visible on the same map.